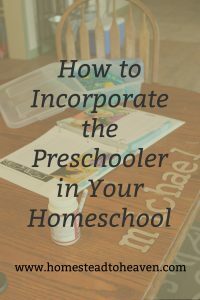 Since the older kids started school in July, I’ve been contemplating how to incorporate the preschooler in our homeschool. Honestly, I don’t take preschool very seriously. I believe that this age is more of a time for play – hitting the books shouldn’t be for at least another year or two. However, I do find it helpful to give him some school type activities to supplement his play. His attention span is short, but it makes him feel special to have a few “school” activities (like his older siblings), that are just for him. So, last year, I bought a homeschool curriculum called “The Homegrown Preschooler: A Year of Playing Skillfully.” It’s actually probably the third or fourth preschool curriculum I’ve bought over the last 4-5 years. While those other curriculums had a designated, step-by-step approach to “teaching” preschool, this one was a little different. It has a selection of activities and books for each month that I can conveniently choose from or not. There is just enough structure where I don’t feel like I’m flying by the seat of my pants, but enough flexibility to allow for tons of free time for the young one. No, I’m not trying to sell you on this specific curriculum. It’s just what is working for me right now. The biggest thing it’s taught me though, is to not stress over preschool. 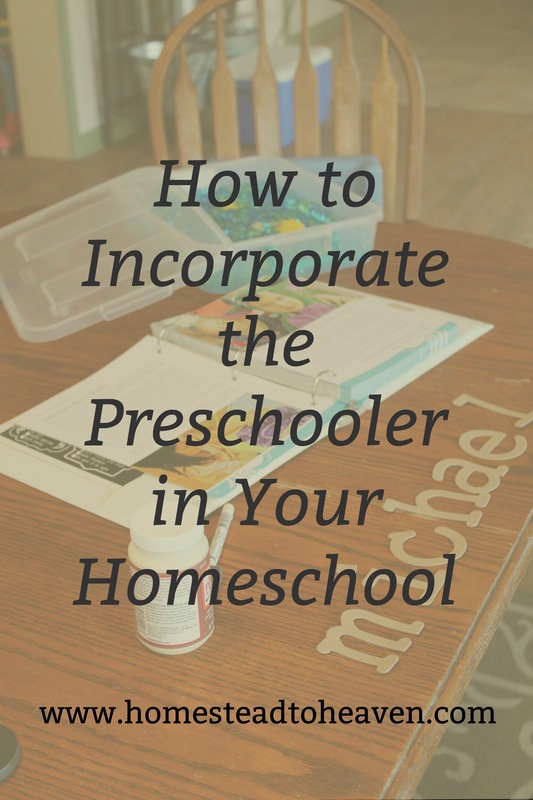 Incorporate your preschooler in the everyday functions of life. 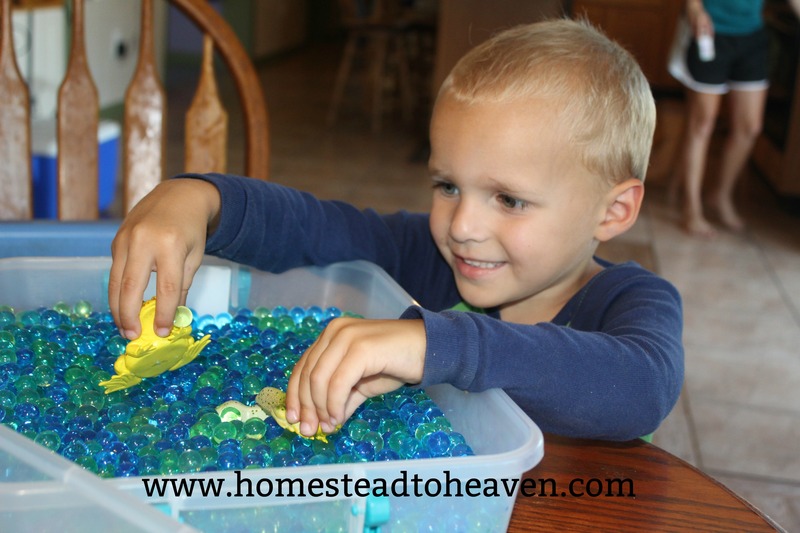 Teach him good manners, count the birds in the sky, play with the letters in his name, or create a mini habitat with plastic animals. Yes, the school system is all about getting your preschooler to read before Kindergarten. But is that really necessary? Each stage of development calls for, and allows for, different stages in learning. It’s most evident in a child’s first year – they go from being completely helpless papooses, to mini toddling monsters in a span of 12 months. They say that it’s better for the brain if the child first learns to crawl before he can walk. Wouldn’t it make sense for that to hold true for the preschooler….but in regards to schooling? Let them play and wonder over creation! Whew! Please forgive my little lecture, it wasn’t intended for this post. He started out by playing with cardboard cut-outs of the letters in his name while I did Religion with the older ones. He had the choice to find objects that started with the same sound as one of the letters, but he chose not to do so. Then he played with the toddler until just before lunch. As I prepared lunch, he wanted to do some copywork like the big kids. So I wrote out his name and had him trace the letters, also giving him the option to copy it for himself. He chose to just trace the letters. As I was putting the toddler down for a nap, the kids had some quiet reading time. My 7 year old read him a book on the life of a frog. 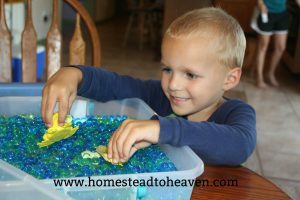 This was because she knew he had a little frog habitat with water beads and plastic toys depicting the life cycle of a frog, which he would play with once the toddler was asleep and the big kids finished up school. Finally, we started a Math Nature Journal once the older kids were finished with their school for the day. He collected one flower, and saw two bald eagles flying above the property. We went back inside, drew what we found, and wrote the corresponding numbers in his book. This will be continued with the consecutive numbers. Now, I definitely would never have thought of all of these activities on my own – I tend to draw a blank with these kinds of things. 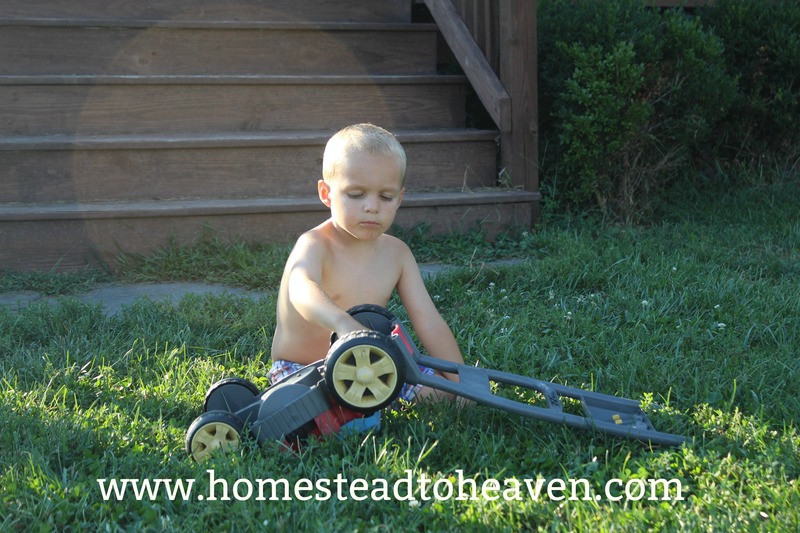 That’s why “The Homegrown Preschooler” is right up my alley. However, you may gravitate toward preschool learning activities, and have a plethora of ideas. That’s great! 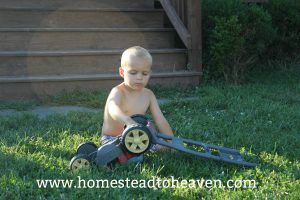 Just work them in according to what makes sense in your homeschool….and leave plenty of time for play. this before. So wonderful to discover somebody with some genuine thoughts on this subject matter.